The organ on the third floor south lobby of the Fabulous Fox Theatre is owned, played, and maintained by SLTOS. 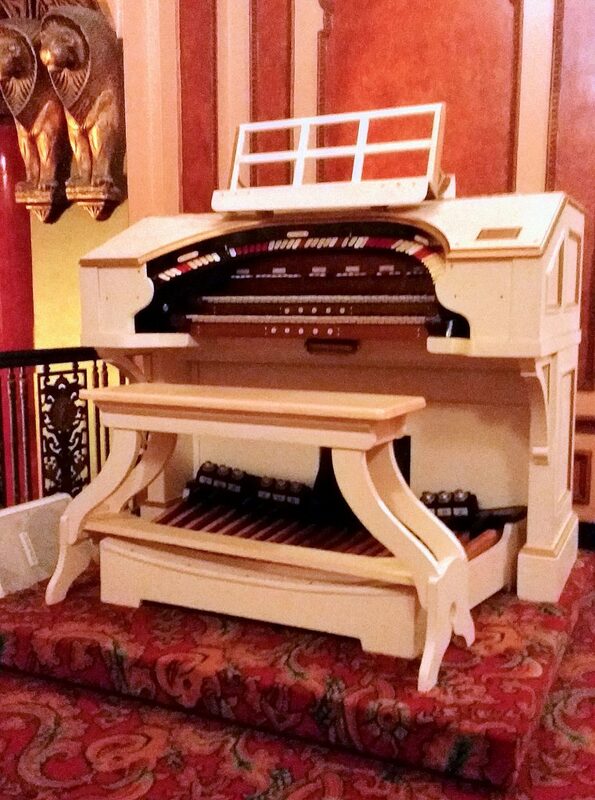 This instrument originally was a 2 manual (keyboard)/8 rank (sets of pipes) organ, installed in the Majestic Theatre in downtown East St. Louis, IL in 1930. Used mostly for intermission concerts during the early part of the ‘30s, and only occasionally through the mid ‘40s, it was silent and mostly forgotten until SLTOS purchased and stored it while renovating the many parts which make a pipe organ so special. When the Fox reopened in 1982 an agreement was established between the Fox and SLTOS to allow us access to the theatre in order to install and maintain the instrument. SLTOS would provide volunteers to play the instrument to entertain the Fox’s patrons for an hour before their shows and during intermissions. That arrangement has been an ongoing benefit to both the theatre and SLTOS. The Lobby Organ has 2 manuals and 11 ranks of pipes and has become popular over the years. More and more people come by the console to ask questions or just to tell us how much they enjoy the music. We really enjoy opening one of the chambers of pipework to show kids who have never known anything except speakers.